Strength comes in many forms: mental, emotional, and physical. Some people have incredible strength of will, or of character, or of spirit. It requires great strength of curiosity and determination to embark on a new lifestyle to improve your health. 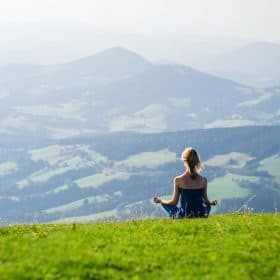 You must have the strength to break bad habits, the strength to start healthier behaviors, and the strength to persevere, even when the going gets tough. Savers are some of the strongest people I know. Today we’re going to talk about the most literal form of strength: muscle strength. Savers are strong in this way too, because they know that weight-bearing exercise to build and maintain muscle is necessary for the creation of new bone. One thing “strength” does not imply is perfection. Everyone slips up every now and then, and sometimes, our best intentions and practices are betrayed by factors beyond our control. Fortunately, we have the power to pick up where we left off. And when we’re talking about building muscle, this is especially true. That’s because of a physical phenomenon known as muscle memory. This peculiar biological trait helps you to rebuild muscle mass lost during a lapse in your exercise practice, and to rebuild it faster than you did the first time around. This, naturally, has a huge positive impact on your ability to build stronger, more resilient bones. Let’s dig into the science of muscle memory, so you’ll use that knowledge to keep improving your bone health. You’re probably aware that weight bearing-exercise builds new muscle. But you might not know what that “building” process actually entails. Unlike most other cells, muscle cells are multinuclear, meaning that instead of having a single nucleus that controls the activity of the cell, each cell has many nuclei.1 One of the ways that our muscles gain mass is through the addition of proteins, making them physically larger. But that isn’t all that’s happening. As they are pushed to grow to support more effort, our muscles also add additional nuclei, which contribute to the addition of new proteins, and allow us to gain muscle mass more quickly. It’s pretty remarkable that our bodies are adaptable enough to respond to needs in this way! You might be familiar with this situation: when you stopped exercising, your muscles shrank. This process of atrophy might be apparent and visible in the shape of someone’s body, or it might manifest as a less obvious weakness that could lead to injury. Indeed, muscle weakness poses a serious risk to bone health, not just because weak muscles apply less pressure on bones, which compromises bone density per Wolff’s Law, but also because it may lead to falls. The process of muscle memory is one that science has only recently begun to understand. Remember all those nuclei? For a long time the assumption was that as our muscles lose mass, they also lose nuclei through the process of apoptosis, or cellular death. However, newer research has found that this isn’t true.1 While atrophied muscles are certainly losing mass, they’re keeping the extra nuclei that were formed during phases of muscle growth. Even though they’re now smaller than they were at the peak of their growth, they still contain the control centers they formed in response to that growth, packed closer together than before. A fascinating study published in the Journal of Applied Physiology in 1991 titled, “Strength and skeletal muscle adaptations in heavy-resistance-trained women after detraining and retraining,” illustrates the result of the muscles’ nuclei retention.2 This study followed six women who had participated in a 20 week strength-training program, then stopped the training regimen for 30-32 weeks before resuming training for six weeks. These women were compared to seven women who only participated in the “retraining” phase, without having done the initial 20 week training. Science now understands that a part of that advantage are the extra nuclei that the previously trained women’s muscle cells still had. When they were attempting to rebuild muscle strength, they were able to skip a step: the creation of those new nuclei. This observation is consistent with the experience of anyone who has engaged in a conscious practice of building new muscle. If you stop your exercise practice for a while, the rate of regaining that muscle mass is faster than the rate at which you acquired it the first time. That’s muscle memory! It’s sort of a funny name, but you can think of it as your muscles remembering how to get back to where they were at their best. 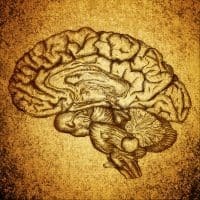 What Does Muscle Memory Do For My Bones? Wolff’s law describes an important process that is essential to bone creation. The stress that muscles place on bones stimulates new bone formation. This is true on the smallest scale of muscles pulling on bones to keep us erect against the downward force of gravity. It’s also true during weight-bearing exercise, which increases the stimulation of bone growth. More muscle mass means more positive stress on bone, even at rest, resulting in new bone deposition. Clearly, creating and maintaining muscle mass is an essential part of bone health. You simply cannot build new bone without building muscle, which is why exercise is such an important part of the Osteoporosis Reversal Program. Establishing new habits is difficult, and building strength and muscle mass is particularly tricky, due to its cumulative nature. When you exercise you build new muscle, and when you don’t exercise, you lose muscle. It feels like an unforgiving process. This can be especially disheartening when you’ve been particularly successful and made great progress, only to suffer a setback. For some people, the disappointment of falling behind and experiencing the loss of hard-won muscle strength, can make them lose their will to keep trying. It’s discouraging to think that what you’ve gained has been lost. But muscle memory, and the science supporting it, shows that this isn’t the case! The hard work that you put into building new muscle has a permanent effect: an increase in the number nuclei in your muscle cells. And those nuclei offer you a very real benefit: it will be easier to regain the muscle mass you’ve lost. All forms of exercise improve your health, from swimming, to walking, to weight lifting. But focusing on the types of weight-bearing exercises that build your muscles to stimulate bone growth can make your routine more efficient, improving the health of your bones faster. That’s the goal of Densercise™ Epidensity Training System. 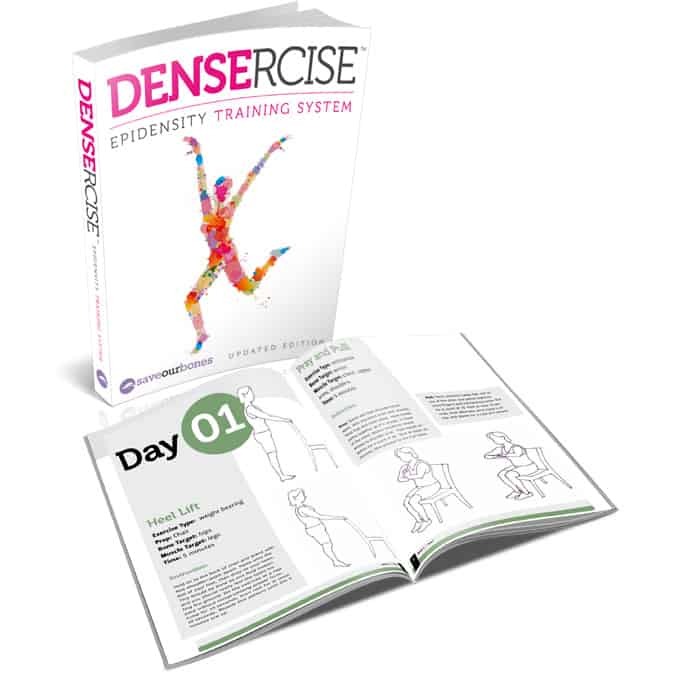 With a regimen of targeted exercises that are easy to do and proven to work, Densercise™ offers an effective way to get the results that Savers are seeking. No matter what your exercise routine is, muscle memory can help you recover from time off, but if you’re looking for something designed to build bone density, check out Densercise™. The next time you feel like you’ve fallen too far behind your goals to even bother continuing, remember muscle memory and take heart! Your body is naturally equipped to handle the unexpected interruptions and temporary setbacks that life throws your way! Thanks for this information on muscle memory. I was the victim of a hit-and-run three months ago that caused my five-times a week exercise program at the gym to come to a halt. Now I am able to do yoga and stretching exercises as long as I don’t get on my knees or put weight on my shoulders. Of course, my various doctors don’t want me lifting weights yet either. 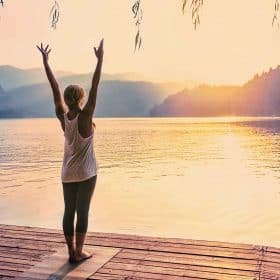 It was encouraging to read this article and to know that when my body had healed enough to begin my more intense exercise program, my muscles will remember. Taking vitamin K2 moved me from osteoporosis back to osteopenia with no exercise. The DEXA technician threw out the results thinking something was wrong with the machine because there was so much improvement. My doctor denied that K2 was the improvement factor. I also take magnesium and vitamin D as the above writer. Hi. Did you take vitamin K2 MK-7 or vitamin K2 MK-4 and how much did you take per day? I had the most pleasant surprise. Several years ago I was diagnosed with oesteoporosis in my left hip. That last test was done some 3 yrs ago. Coward, as I am, haven’t done an annual health check-up until a couple of days ago. Same hospital, same machine. Now diagnosed with oestepenia, much better results! I put that down to having taken vit K2, magnesium, vit D3, and done weight training exercises.